We are pleased to announce the release of NCSS 12 with numerous new features, statistical procedures, plots, tests, and data tools. Download a free, no-obligation trial of NCSS 12 by clicking the button below. Use the following activation code to try the full, unrestricted version free for 30 days. Installation of NCSS 12 will not affect other NCSS products you may already have installed on your computer. The trial can be uninstalled at any time. NCSS 12 is fully compatible with Windows 10. 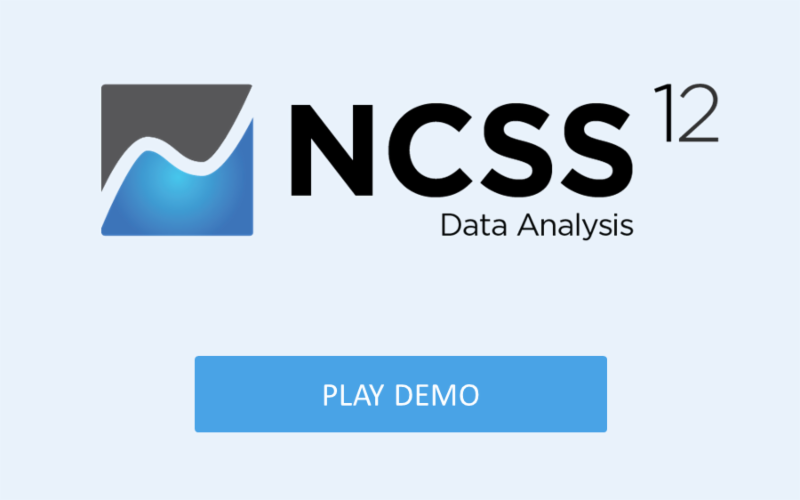 Watch a short video that takes you through a simple example that highlights the capabilities of the software and demonstrates how easy it is to perform a statistical analysis in NCSS.